Sarasota Educational Resource Center (SERC) is a ONE-on-ONE Tutoring Center that has been tutoring students in the Sarasota area since 1981. The Center is colorfully decorated and has been designed to foster a quiet environment so that a one-on-one relationship between the student and the educational specialist can be achieved. 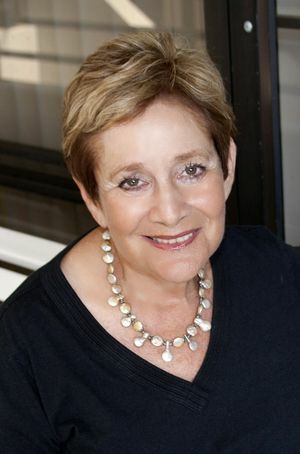 Ferne Rubin (Owner/Director since 1981) is known to the students as "Miss Ferne". She has successfully implemented various programs at SERC facilities. Ms. Rubin graduated from Lesley University in Cambridge, Massachusetts with a B.S. in Education. As a teacher in the Philadelphia Area School Systems, she realized there was a need for additional programs for students not succeeding in the traditional classrooms. It was then that she enrolled in the Pennsylvania State University Graduate School of Education. In 1973 she received her Certification in Special Education enabling her to teach children with memory problems, attention disorders, dyslexia, auditory and visual processing difficulties. Moving to Sarasota in 1981 she launched SERC as she felt there was a need for a Tutoring Center specializing in programs for children who had difficulties in the conventional classroom.. The Center has evolved as the premier One-on-one tutoring Center in the Sarasota area with a current staff of eight (8) educational specialists. All of the teachers at SERC are certified specialists who are trained to deal with reading problems (including dyslexia), behavioral issues, math, and language skills. The majority of the staff has been with SERC for at least five years. We pride ourselves in the student oriented environment that is provided at SERC. We utilize recent reports and testing from psychologists, schools, and other centers. Start-up fees or contracts are not required for tutoring. Payments can be per session, weekly, or monthly. Licensed Programs such as PACE, C-BAT, or PLAY ATTENTION, need a down payment and then monthly payments until the obligations are completed. Sarasota Educational Resource Center has helped hundreds of children become successful adults. Combining one-on-one instruction, school and parental involvement, and a compassionate commitment to their mission, SERC has an unbeatable record for success. SERC is proud to introduce Nancy Diamond! Nancy has taught reading, writing, study skills, and organizational skills, and she is a trained Orton-Gillingham associate. Orton-Gillingham is a teaching approach designed to help struggling readers by explicitly teaching the connections between letters and sounds. Developed in the 1930s, this approach was the first to apply multi-sensory teaching strategies to reading, writing, and spelling, and it is a highly effective method of teaching students with dyslexia and other language-based learning disabilities. 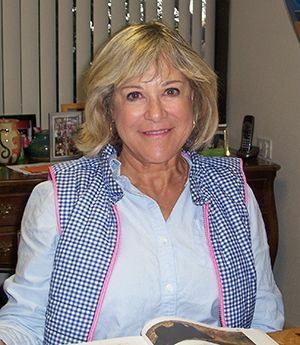 Nancy recently relocated to Sarasota from Baltimore, Maryland where she was a tutor, trainer, and tutor evaluator for Dyslexia Tutoring Program, Inc., a non-profit utilizing the tenets of Orton-Gillingham. She has a Master of Education (M.Ed.) in Reading from Loyola College in Baltimore, Maryland and a Bachelor of Arts (B.A) in English from Fairleigh Dickinson University in Teaneck, New Jersey. 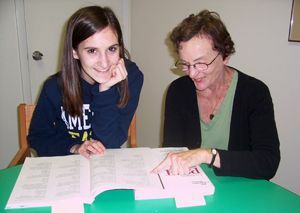 THE most important resource in a "One-on-One Tutoring Center is the Teacher/Tutor. Miss Sally is a Graduate of Syracuse University where she earned her B.S., M.A., and PhD from the Department of Reading and Language Arts. Her teaching career began in the Manlius, NY Elementary K-3 Grades as a Classroom Teacher. Subsequently, she worked in the Dewitt, NY and Minoa, NY elementary schools as a Reading Specialist who taught remedial reading, was a Consultant to teachers and developed Title I reading programs. Upon returning to Syracuse University for further studies she was an Instructor in Literacy Development, and supervised teams of Graduate students in planning, diagnosis, and remediation of disabled readers. After promotion to Visiting Professor she directed the Syracuse University Reading Clinic. Her next career was at the State University of New York (SUNY) at Geneseo where she taught and developed undergraduate and graduate courses in Literacy Development. Concurrently she was the Reading/Literacy consultant to the Special Education faculty and students at the BOCES #1 Satellite School, Monroe County, NY. Arriving in Sarasota she was an Adjunct Professor at the University of South Florida where she taught Reading Comprehension and Vocabulary courses. Miss Sally is now SERC's Reading and Dyslexia Specialist and PhD in residence. She tutors all ages, performs diagnostic evaluations, customizes programs, and consults with the other tutors on the most difficult cases.